Recital and a show of scores by the two nineteenth century danish composers Henrik Rung and Søffren Degen. Jens Bang-Rasmussen has appeared as classical guitar soloist on six continents. This year he entertained the Queen of denmark with a solo performance on Her Majesty’s birthday. During his twenty-year international career, he has achieved great success and recognition for his amazing musicality and his fine guitar playing. An invitation to give a recital at the Moscow Conservatory, gave Jens international prestige that started an extensive international career. Jens has recently toured China, Japan and the United States. In the U.S. Jens has lectured at the Manhattan School of Music in New York. 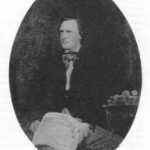 Jens Bang-Rasmussen is considered a most distinguished interpreter of music from the nineteenth century Nordic tradition. He has per­formed this music worldwide. 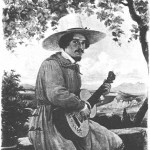 Jens Bang Rasmussen’s field of specialization is the nineteenth cen­tury Nordic guitar repertoire. 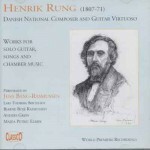 Jens Bang-Rasmussen has published the complete works of Danish composers Henrik Rung (1807-71) and Soffren Degen (1816-85). Both editions are substantial contri­butions to musicology. 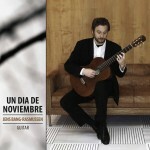 His second CD Romantic Guitar Sonatas was appointed CD of the week in Danish National Radio. Three more CD’s are released Dichterliebe by Robert Schumann, 1. 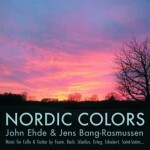 Nordic music for cello and guitar Nordic Colors, 2. Solo CD master pieces for classical guitar, 3. works by Norwiegian composer Tormod Sæverud for cello and guitar. 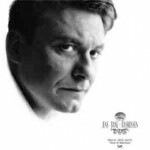 He has worked with outstanding musicians from Julliard School of Music, Krakow Philharmonic Orchestra, Sofia Soloists, The Royal Philharmonic orchestra in Copenhagen and The Radio Orchestra of Copenhagen. He has received awards from the Fulbright Commission, the Denmark American Foundation, the Danish State Music Council, the Højsgaard Foundation, the Royal Academy of Music in Copenhagen, the Elli and Ove Christensens Award and the Jacob Gade’s Award. Jens Bang-Rasmussen has been invited to perform in festivals with guitarists such as Manuel Barreuco, Eduardo Fernández, John Holmquist, Nicholas Goluses, Michael Lorimer Nikolay Komolyatov etc. 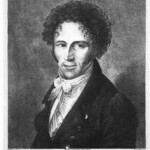 Contemporary Danish composers has composed and dedicated music to Jens Bang-Rasmussens repertoire. En tanke om "Bolivar Hall"